Browse content similar to Series 1 Reversions. Check below for episodes and series from the same categories and more! Antiques experts James Braxton and Mark Stacey travel from Norfolk to West Sussex. David Barby and Anita Manning are heading from Edinburgh to their next auction in Ayr. 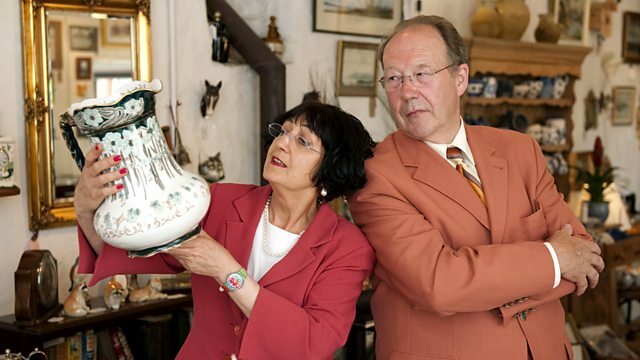 David Barby and Anita Manning are on their last shopping trip of the week. Experts James Lewis and David Harper travel from Liverpool to Market Harborough. Philip Serrell and Charles Hanson travel from Wales to Devon in search of antiques. James Braxton and Mark Stacey set off from Abingdon in search of antique treasures.